In late 2010, the 8th Circuit Court of Appeals remanded (for a second time) the political asylum petition of alien, Noel Malonga. Malonga is a Lari from the Pool region of Congo and alleges persecution if he were returned to his country. Eric H. Holder, Jr., Attorney General of the United States, Respondent. Before MELLOY, SMITH, and COLLOTON, Circuit Judges. COLLOTON, Circuit Judge, dissenting. Noel Malonga, a native and citizen of the Republic of the Congo (“the Congo”), petitions for review of an order of the Board of Immigration Appeals (“BIA”) denying withholding of removal. He claims past persecution and a clear probability of persecution upon return on account of his ethnicity and political opinion. We grant the petition for review and remand for reconsideration of whether he faces a clear probability of persecution based on political opinion. Recall previous NinjaLaw for immigration cases related to the Ninja militia group in the Congo: Mapouya v Gonzales (2007), Passi v Mukassey (2008) and Ba v. Mukasey (2008). The record paints the Congo as a country dominated by a series of totalitarian regimes punctuated, particularly in recent years, by violent conflict. In 1968, Marien Ngouabi led a military coup and held the presidency until his assassination in 1977. In 1979, Denis Sassou-Nguesso became president, which according to State Department reports, launched two decades of turbulent, single-party politics “bolstered by Marxist-Leninist rhetoric.” Sassou-Nguesso is a northerner of Mbochi ethnicity. In the 1990s, the country ostensibly transitioned to a multiparty democracy, but political stability remained elusive. Numerous opposition political parties were formed at the time, including the Mouvement Congolaise pour la Democratie et le Development Integral (Congolese Mouvement for Democracy and Integral Development, hereinafter “MCDDI”). In 1992, southerner Pascal Lissouba was elected president. Violent civil unrest subsequently broke out in June and November 1993 over the results of hotly disputed legislative elections. Risk of large-scale insurrection subsided after the parties accepted the decision of an international board of arbiters in February 1994. Lissouba attempted to eliminate Sassou-Nguesso’s political-military faction as the country headed for a new round of elections in 1997, igniting four months of civil war. Sassou-Nguesso eventually seized the presidency, toppling the Lissouba government. Fighting between forces loyal to Sassou-Nguesso and several southern rebel groups engulfed the country in 1998. The rebel militias included the Cocoyes, who supported Lissouba, and the Ninjas, who are of mostly Lari ethnicity and were affiliated with Bernard Kolelas, [Footnote #1: Kolelas served as Prime Minister for the final months of the Lissouba regime.] the founder of the MCDDI. The conflicts were largely concentrated in the south, including the Pool region surrounding the capital of Brazzaville. Civilians found themselves caught in the crossfire, subjected to both indiscriminate violence and instances of deliberate brutality by all factions. Undisciplined troops and security forces associated with the government reportedly detained, beat, raped, “disappeared,” and killed civilians, arbitrarily searched homes, and engaged in widespread looting. Government allied-forces were also known to single out individuals, mostly southern men, for arrest and even death on suspicion that they supported the Ninjas or the Cocoyes. The record paints the rebels as little better. Militias, particularly the Ninjas and other groups based in the southern Pool region, executed civilians thought to back the government based on their ethnicity. The militias of the Lari ethnic group reportedly looted property, raped women, and killed civilians, even members of their own ethnicity. In all, the war left nearly a third of the population displaced and thousands dead. The Sassou-Nguesso government signed a cease fire with most rebel groups in late 1999, leading to a measure of calm. For example, the State Department observed in its 2001 country conditions report that it had received no accounts of government violence toward southern ethnic groups in the previous year and that politically motivated disappearances and killings also ceased. Lissouba and Kolelas themselves were effectively forced into exile and tried in absentia for war crimes. 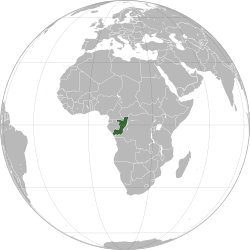 In 2002, the latest year represented in the record, media reports documented renewed conflict in southern Congo between government forces and the Ninjas following Sassou-Nguesso’s reelection. The Ninjas attacked government military posts in the Pool region, allegedly responding to government plots to arrest the militia’s leader. Civilians were once again swept up in the fighting and suffered abuses by both sides, though particularly by the government, including killings, rapes, abductions, looting, and other destruction of property. the BIA failed to include political dissidents in its pattern and practice analysis. The BIA simply held that the Lari did not face such a pattern and practice. We understand Malonga to argue that this analysis is insufficient for two reasons. First, it fails to account for the fact that he has been an actual political dissident, who, he claims, the record demonstrates face a substantial risk of persecution. Second, he argues that he runs a separate risk of having a political opinion imputed to him because he is a Lari from the Pool region, whose residents are often assumed to oppose the government. Regarding the latter, Malonga points, for example, to the fact that during the 1998-1999 conflicts, police executed five men whose identity cards indicated they came from the Pool and were assumed to be members of the southern-based Ninjas or Cocoyes militias. He also draws our attention to a 1999 letter from his brother recounting reports that men of “fighting age” in the Pool were being summarily executed. For the reasons stated above, we grant the petition for review, vacate the BIAs’ holdings regarding a clear probability future persecution on account of political opinion, and remand for proceedings consistent with this opinion. The BIA should consider Malonga’s current political activities and affiliations would cause him to be singled out for persecution. It should also consider whether a pattern and practice of persecution exists as to actual and imputed political dissidents, and whether Malonga as a Lari from the Pool who has been an active political opponent of several regimes, is similarly situated to those individuals. On remand, the BIA is free to supplement the record with more current materials regarding country conditions in the Congo. An alien who was ordered deported four years ago when his citizen wife was expecting their first child seeks to avoid return to his native country on the ground that deportation would cause extreme hardship to his wife, the child, and to another child whom his wife was expecting by the time we heard the appeal. Averianova also claimed that her family was continually harassed and threatened for being Jewish. She submitted no evidence to corroborate these claims. This is Judge Colloton’s implication about similar qualities in Malonga’s claims. NinjaLaw has already told you about two immigration cases related to the Ninja militia group in the Congo, Mapouya v Gonzales (2007) and Passi v Mukassey (2008). This 2008 Court denies review of a Mr. Ba who seeks witholding of removal after his asylum petition was similarly denied. MICHAEL B. MUKASEY, Attorney General of the United States, Respondent. Ba is a native and citizen of the Republic of the Congo who entered the United States without valid documentation. He and his family are members of the Lari tribe, losers of the country’s most recent civil war. The winners of that war comprise the current Congolese government, which the Laris and the tribe’s militant arm, the Ninjas, had opposed in the war. In March 2004, a group of armed guerillas, who Ba claimed were Ninjas, broke into his father’s store and bound and beat him. They also located Ba in the back of the store and tied him up. While the Ninjas were discussing whether to kill his father, the police arrived and engaged them, creating a diversion that allowed Ba to escape. Ba fled to Gabon where he arranged to travel to the United States using fraudulent travel documents. Before leaving Gabon for the United States, he learned of the killing of his father, presumably at the hands of the Ninjas. Ba filed an application for asylum and withholding of removal in December 2004. The IJ denied his application, concluding that he had not suffered persecution. The IJ found no political nexus linking Ba to his father, as there was no indication that his father was targeted because of a political opinion in favor of the government. The IJ viewed the attack on Ba’s father as a criminal extortion effort. Ba was only involved in this attack because he happened to be in the store at the time and he was neither directly targeted nor threatened. The BIA adopted and affirmed the IJ’s decision, adding that Ba failed to challenge on appeal the IJ’s finding that the Ninjas are a group the government can control and failed to explain his claim that he suffered past persecution. By failing to raise before the BIA his claim that the government is unable to control the Ninja militia, Ba waived it. Ramani, 378 F.3d at 560. The leader of post-ceasefire Ninja operations, Pasteur Ntumi, has disarmed his group and transformed it into a political party, which by Congolese law may neither have weapons nor support militias. the focus of current Congolese trouble on medical and infrastructure deficiencies and minimize references to post-2003 ceasefire violence, referring to remaining violent entities as “former rebels,” “bandits claiming to be rebels,” and “gangsters,” and suggesting victims are the poor, train passengers, and foreign aid workers. But I can’t help wonder about the difference between being a rebel and acting under the claim of being a rebel; an interesting distinction. I would think it’s not that different if you are someone they have reason to dislike. I hope Mr. Ba is still ok. This is the case of PASSI v. MUKASEY about immigrant from Republic of Congo seeking asylum in the U.S. from fear of persecution related to Ntumi’s Ninja rebels. Recall previous NinjaLaw post about these ninja rebels: “Asylum sought because of Ninja killers in the Congo“. MICHAEL B. MUKASEY, ATTORNEY GENERAL, Respondent. Both the IJ and the BIA erred by relying exclusively on the United States Department of State country reports in finding that Passi no longer had a reasonable basis to fear persecution if he returned to the Republic of Congo. This Court has instructed immigration courts “not to place excessive reliance” on the Department of State country reports. See Tambadou, 446 F.3d at 302 (quoting Tian-Yong Chang v. INS, 359 F.3d 121, 130 (2d Cir. 2004)). We have also instructed immigration courts to consider evidence that is contrary to country reports and to consider the “particular circumstances of the applicant’s case demonstrated by testimony and other evidence.” Id. Both the IJ and the BIA erred in failing to consider contrary evidence and in failing to consider Passi’s particular circumstances. These circumstances include the fact that President Sassou-Nguesso — whose militia was responsible for the severe beating of Passi and the murder of Passi’s father, a police officer under the former President Lissouba ? remains in power. Cf. In re O-Z-, 22 I. & N. Dec. 23, 26-27 (B.I.A. 1998). Passi also correctly notes that the 2004 country report, cited by the BIA, states that “[u]ncontrolled and unidentified armed elements remained active in the Pool region [of the Republic of Congo], despite an ongoing demobilization and reintegration program following the March 2003 Peace Accord between the Government and Pasteur Ntumi’s Ninja rebels.” In addition, the reports note that some members of the security forces committed human rights abuses, and although there were some “significant improvements” in the Congolese government’s human rights record, “serious problems remained,” including that security forces were reportedly responsible for “beatings, physical abuse of detainees, rapes,” and “arbitrary arrest and detention.” Moreover, news articles submitted by Passi describe the deaths of civilians by a resurgent militia in a suburb of Brazzaville, the displacement of 50,000 people in the capital, and clashes between government troops and rebel fighters in the Pool region surrounding Brazzaville, as well as within the capital itself. The agency was required to conduct a more “individualized analysis” of how any changes in Congo would affect Passi’s personal circumstances. See Tambadou, 446 F.3d at 303.
notably, the 2004 country report confirms that Sassou-Nguesso–whose Cobra militia beat Passi into unconsciousness and killed his father–is now firmly in control of Congo and his “[g]overnment’s human rights record remains poor.” The report noted that although there were “some” improvements, “serious problems remained,” particularly in Passi’s home region where there are continued clashes between the mainly Lari “Ninja” rebels and Sassou-Nguesso’s government forces. The 2004 country report stated that “[u]ncontrolled and unidentified armed elements remain active in the Pool region, despite an ongoing demobilization and reintegration program following the March 2003 Peace Accord between the Government and [the] Ninja rebels,” and noted continued violence and harassment by either “uncontrolled government security forces or former Ninjas.” In December 2003, uncontrolled Republican Guard government forces attacked Ninja elements in Brazzaville resulting in restrictions on civilian movement, and there was “renewed harassment and intimidation by uncontrolled and unidentified armed elements.” While there were fewer reports that government forces killed civilians in the Pool region than in previous years, the 2004 country report stated that members of the security forces “committed human rights abuses” and were “responsible for beatings, physical abuse of detainees, rapes, arbitrary arrest and detention, looting, solicitation of bribes and theft.” The report also noted that “[d]iscrimination on the basis of ethnic regions remained a problem.” The news articles Passi submitted describe the deaths of civilians at the hands of either the military or a resurgent militia in a suburb of his home city Brazzaville, the displacement of 50,000 people in Brazzaville, and clashes between government troops and rebel fighters in Brazzaville and in the Pool region surrounding the city. The BIA improperly inferred that Passi no longer has a well founded fear of persecution because its inference was based entirely on a country report that details general improvements, while indicating that Passi’s hometown (which the agency was required by regulation to presume is unreasonable for him to leave) is still troubled by ethnic and political conflict. We remand for the agency to conduct an individualized analysis of whether the changes in conditions in Congo were so fundamental that they are sufficient to rebut the presumption that Passi’s fear of persecution is well founded. This 2007 asylum seeker claimed that he would be in danger if returned to the Congo, despite State Department claims that the situation had changed. In this case, the Court vacated the ruling of the Board of Immigration Appeals and remanded for further proceedings. The Ninja were a militia in the Congo; according to Wikipedia they disbanded in 2008. Decided and Filed: May 18, 2007. A recounting of recent events is necessary to better understand the details of Mapouya’s testimony. In the second half of 1997, violence and civil war returned to the Republic of Congo (hereinafter “Congo”) when Sassou-Nguesso, the country’s former military strongman, ousted the country’s first democratically elected president, Pascal Lissouba. Sassou-Nguesso, who had ruled Congo previously from 1979-91 after a coup, once again seized power militarily in October 1997 after several months of vicious fighting between government and militia troops loyal to Lissouba on one side, and Sassou-Nguesso’s forces on the other. Angolan troops also crossed the southern border and intervened at different places on Sassou-Nguesso’s behalf, including in the capital city of Brazzaville, which is located in the southeast region of the country. Strong ethnic overtones are present in Congolese politics, and the 1997-98 civil war was no different. Generally, the conflict can be characterized as pitting northerners, who supported Sassou-Nguesso and his Congolese Labour Party (“PCT”), against southerners, who supported former President Lissouba and former Prime Minister Bernard Kolelas. The Mbochi, which are one of the larger Bantu ethnic groups, are located primarily in the northern regions of Congo. Accordingly, the Mbochi are traditionally strong Sassou-Nguesso supporters, especially because Sassou-Nguesso is Mbochi as well. Conversely, supporters of Lissouba and his Pan-African Union for Social Development party (the translated acronym for which is “UPADS”) are primarily southern Congolese tribes, which are mainly Lari ethnic groups. Any divergence from these ethnic-political affiliations, while not unheard of, is rare. Mapouya appears to be one of these few exceptions.